This post first appeared on the Curvy Sewing Collective’s website. In case you haven’t heard, I’m a new editor! Yay! 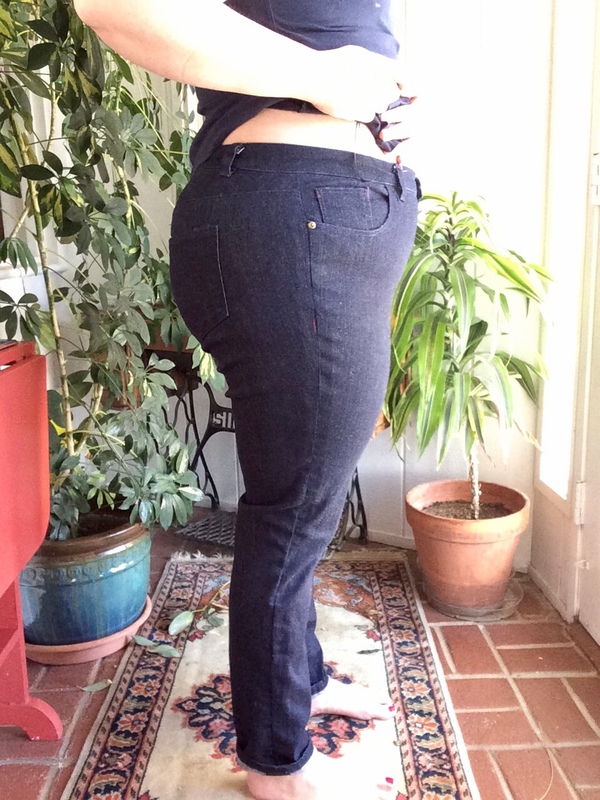 I have been dying to jump on the jeans sewing bandwagon for a couple of years now, but I kept dragging my feet because none of the options out there seemed quite right. I would have to grade up the Gingers or other popular indie patterns, the Burda pattern wasn’t quite the style I wanted, and I was worried about tackling something like jeans with the ease issues and non-hand holding instructions of the big 4. Basically, classic procrastination from a classic procrastinator (that’s me!). 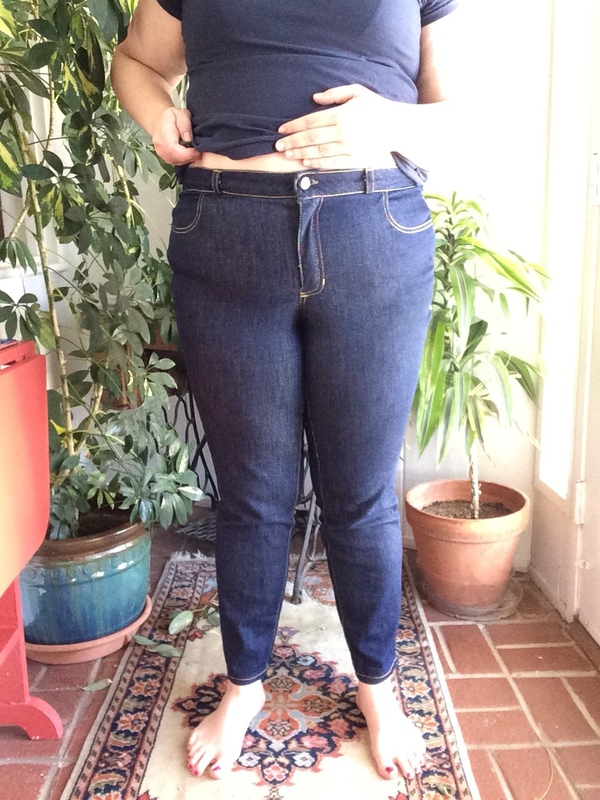 So when an email from Jenny at Cashmerette popped in my inbox about pattern testing a new jeans pattern, I could not have been more thrilled! So this pattern review is for all of you who have also been procrastinating on jeans sewing, the time has come. Let’s sew jeans! Size range: 12 to 28, with interchangeable pelvis (apple or pear fit) and leg (skinny or straight) pieces. What size did you make? 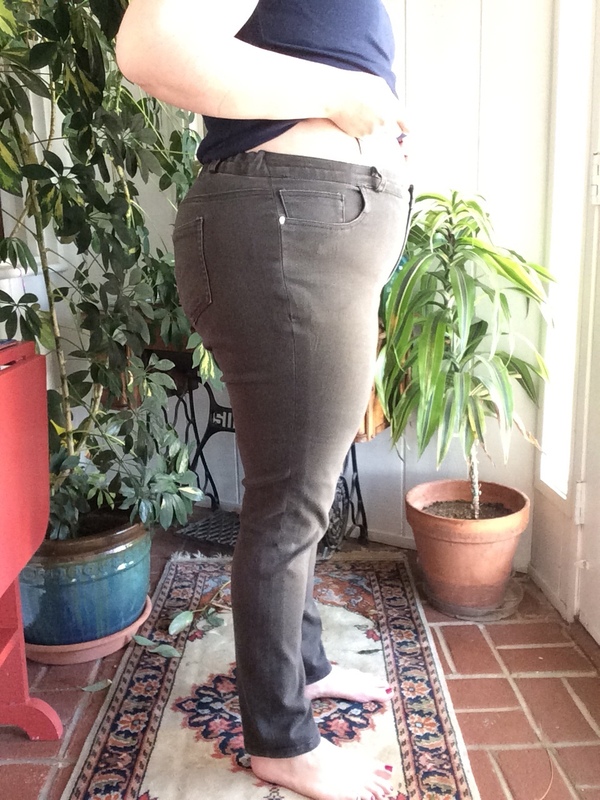 Straight size 20 in the pear draft with skinny legs. Definitely not perfect, but a million times better than any other patterns I’ve tried before and better than any RTW too. These are made in a 2% spandex denim from Joann Fabrics, which isn’t nearly as stretchy as the other two pairs you will see. I made the waist stay out of quilting cotton, but ended up performing pants surgery to remove it because I couldn’t sit down. In general, these are a little too tight for everyday wear and there are definitely some topstitching and zipper issues. I think due to the rigidity of the denim and the tight fit, some of the fit issues you can see in the versions below aren’t very evident in this pair. 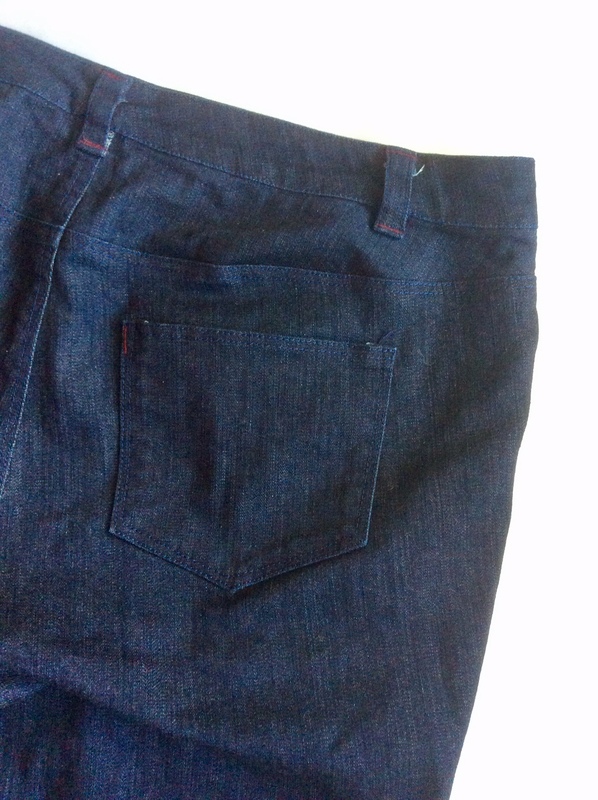 These are made in a lightweight (9.5 oz) Allegro stretch denim from Stonemountain and Daughter in the Ash color. This denim is really comfy. It has faded a lot but I think that gives it a nice worn in and RTW look since distressed denim is so in right now. 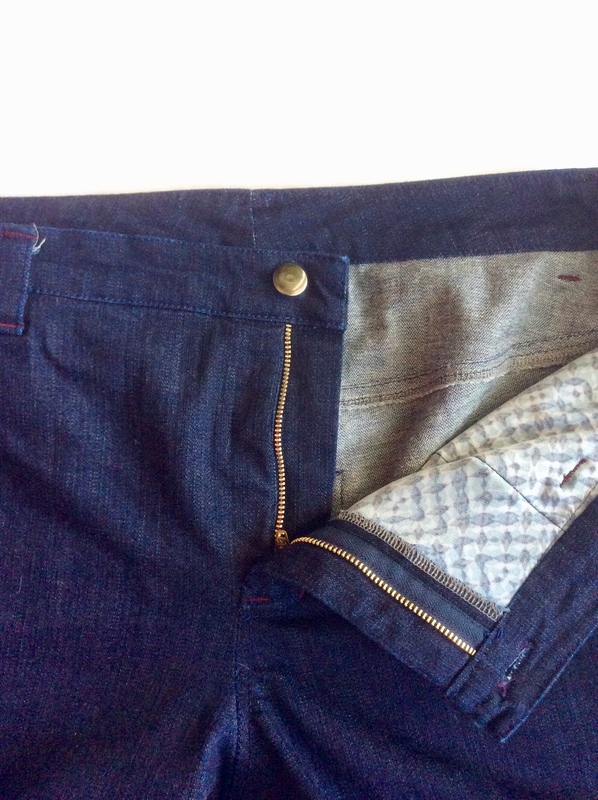 I didn’t interface the waistband and cut it entirely out of denim. I think this denim is too lightweight for that and it ended up stretching out a lot, so I inserted some elastic into the waistband after about a month of near daily wear. I also let them out slightly through the calves because it drives me CRAZY when my jeans ride up on my calves all day. After wearing the gray pair for about two months, I finally embarked on my third pair (after the holiday madness, I wanted to sew them much sooner). I made a few fit alterations based on the previous versions. I did a full calf adjustment following this tutorial on Lladybird’s blog. I also added another inch in length above the knee after measuring my crotch to knee length, for a total of 3″ in length added to the original pattern. 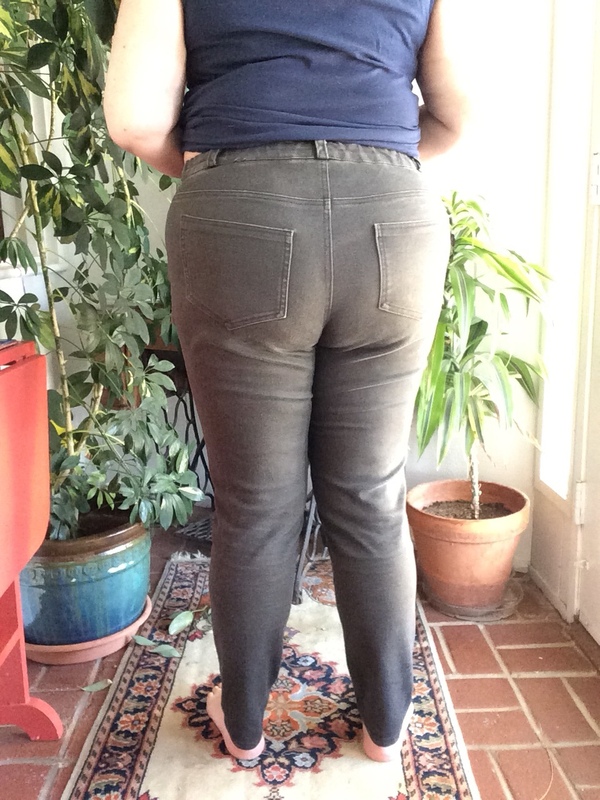 I am only 5’7″ tall but my legs are proportionally longer than my torso, I like to be able to cuff my pants with boots or sandals, and I’ve been scarred by years of plus size retailers only thinking they need offer one length of pants. 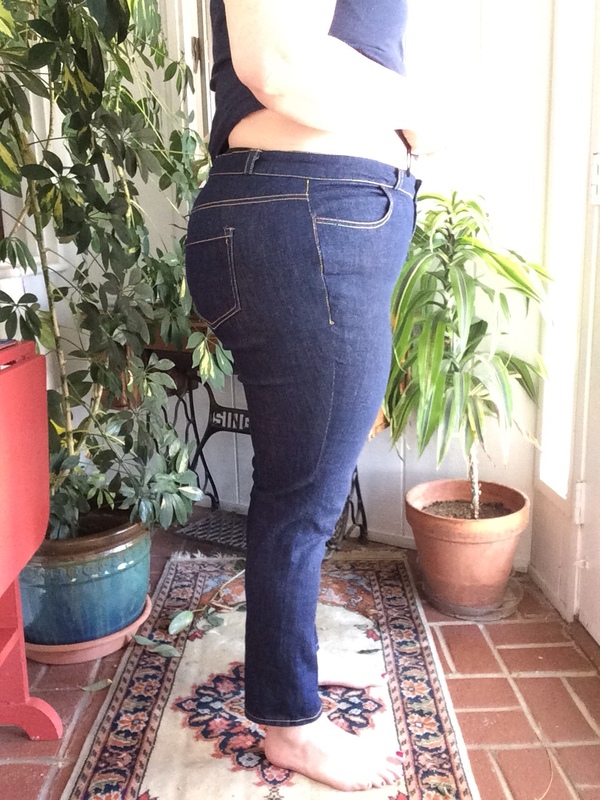 Finally, I added one inch in total to the back rise by extending the back crotch 1/2″ and adding a 1/2″ wedge at the lengthen shorten line above the crotch curve. 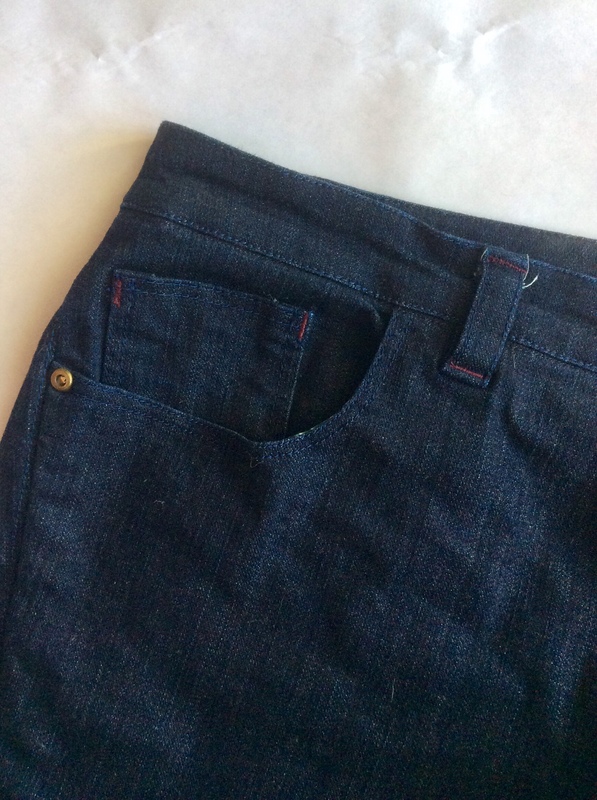 These are made in heavier 12 oz Cone Mills S-gene Denim from Threadbare Fabrics. After sewing them up, I ended up taking them in a bit more through the calves because apparently I hate how tight calves feel but I like how they look! Hopefully these are calf skimming rather than calf clinging. I straightened them out a bit below the calf so that they would be easier to cuff. I also shaved off a slight bit of the lower hip curve, because as you can see I am fullest on my upper hip area. Once again, I did not interface the waistband but I REALLY eased it in to the pants as I sewed it on so that its super tight, and hopefully this thicker denim won’t loose its elasticity the way the other pair did. I am aware that the fit on these looks WAY worse than the other two pairs. I think that is party because they have only been worn 3 times and still need to break in (the gray pair had this same knee wrinkle issue before I wore them in) and partly because they are the loosest through the lower leg, allowing the wrinkles to become more prominent. It seems like most issues stem from the transition from the tight thigh to the looser knee and calf. If you check out the side seams, I think these are actually fitting better than the first pair, but they still need some modifications, specifically a full front thigh adjustment. From examining these pictures, it seems like the fabric being pulled tight against my back thigh is due to my projecting front thigh. Alternatively, I can just make the next pair super tight so you can’t see any fit issues (haha). With jeans, there is always something to fiddle with, but I’m really exciting to have some jeans I’m not embarrassed to wear out in public! 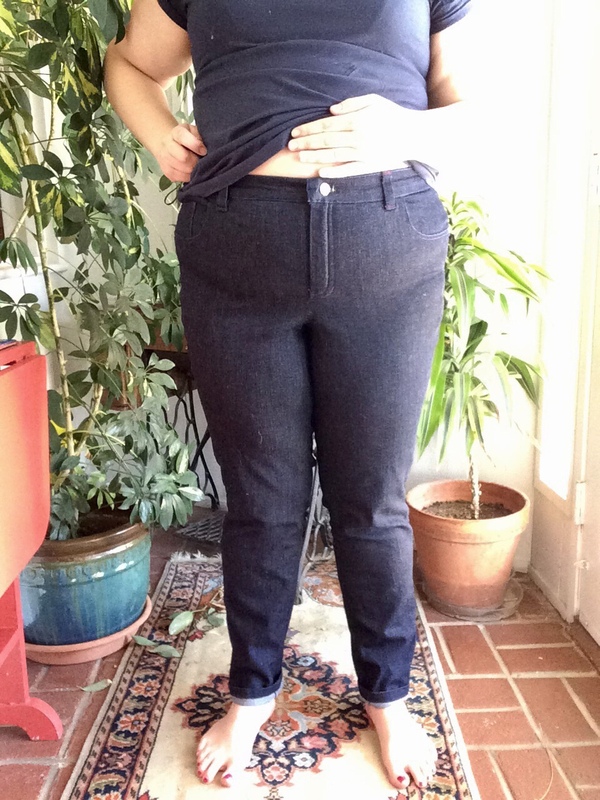 I was a little intimidated by the process of pants making, but the instructions are really great and at this point there are a ton of additional resources online about making jeans (yay for procrastination!). The instructions lead to a professional finish that I am really happy with. My only ongoing issues have been with installing rivets, which has been a total nightmare and a problem I haven’t solved yet. 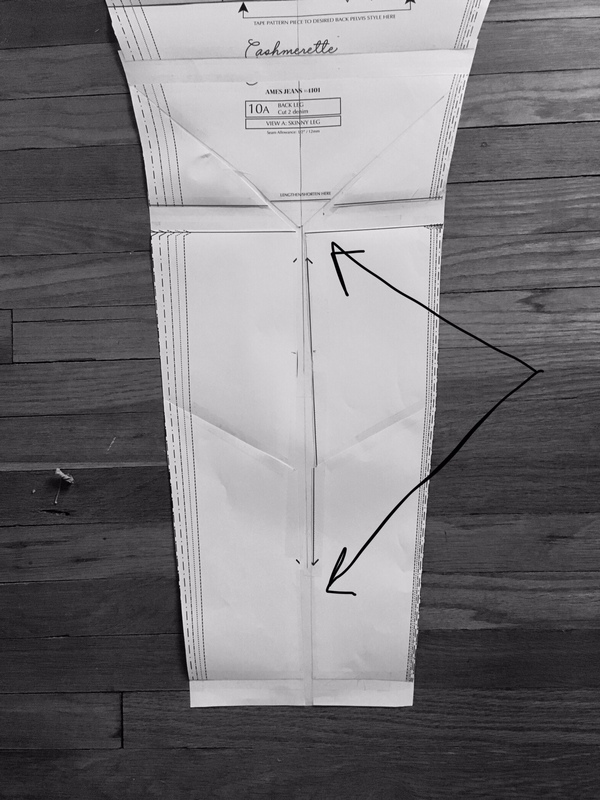 I solved my topstitching issues by using a stretch needle at the suggestion of many folks on instagram (I use the stretch needle though out all of construction now). 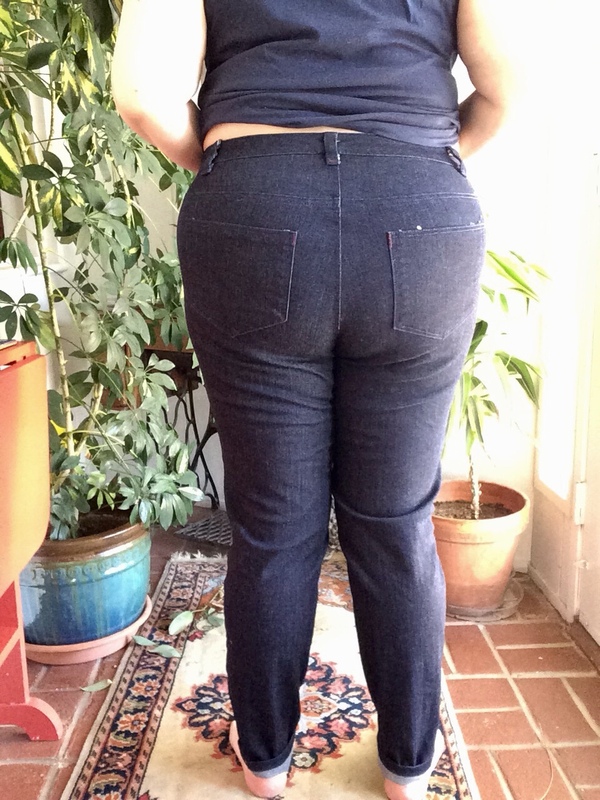 As I mentioned above, while I still have a few fit issues, the fit on these is WAY better than any other pattern I’ve tried before and any RTW jeans I own. I think with the two fit options (pear and apple) and the two leg options (straight and skinny), there is a good chance that these will work for a wide variety of people. YES and YES! I currently have two pairs that I wear a lot and one wearable muslin that might get some air time during summer months (they are just too short). Plus, I already have plans for modifications to make to my next pair. I think the biggest decision I need to make is if I like the 9 oz or 12 oz denim better, I’m going to have to wear the 12 oz for a while before I decide. I think this is a great pattern for curvy ladies to start on their jeans making journey! I hope you love it as much as I do! 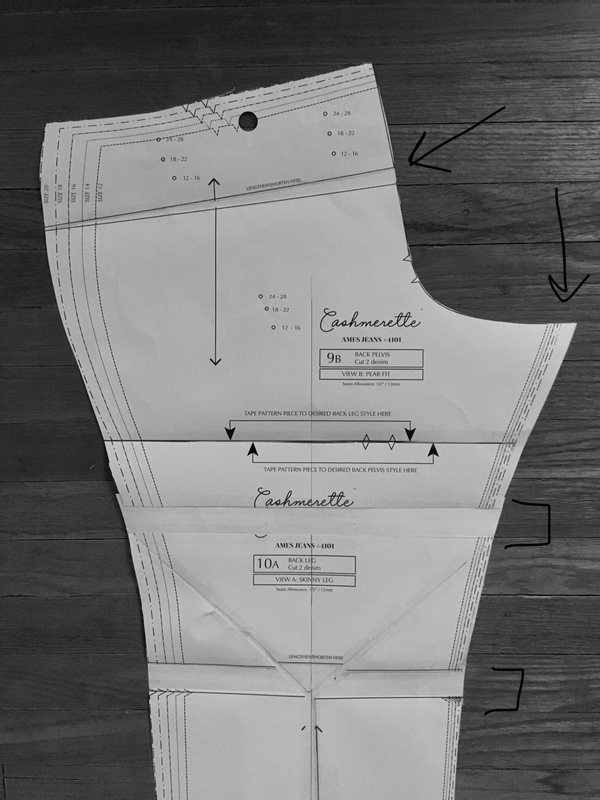 Full disclosure: I’ve been a pattern tester for Cashmerette since the beginning and tested an earlier version of this pattern so I received this pattern for free. This did not sway my opinion because no matter how these fit, I’d just be thrilled to have a pattern I didn’t have to grade up! Fortunately, they fit really well!